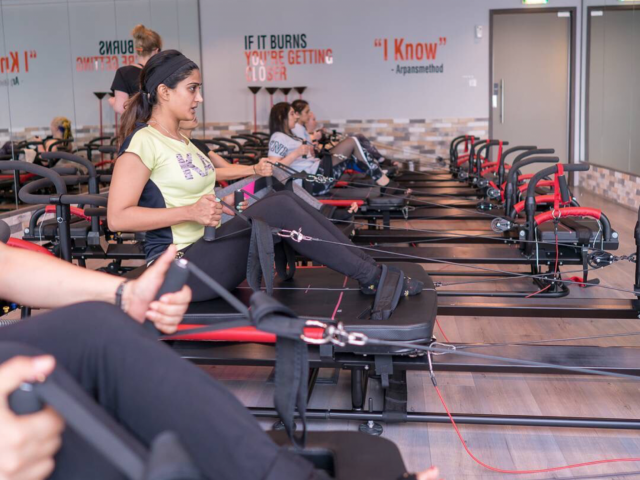 Whether you’re the traditional mat pilates kind, or you like to use equipment to enhance your workout, we’ve scoured the city for the coolest pilates classes in Dubai, all of which will give you an awesome core workout. From megaformer to reformer pilates Dubai, here are 5 different types of pilates classes that you need to try out.. Walking in to a reformer pilates class for the first time can be a little intimidating, but trust us, you will love it once you get the hang of it! Using resistance springs to strengthen your muscles, your core will seriously feel the burn. If you fancy working out to some great beats, try out Kristin’s classes on Thursday mornings. Aero Pilates is a similar concept to Reformer Pilates, but combined with trampolining to get your heart rate up. Overall, it’s a low-impact cardio workout that burns fat (especially in your thighs), strengthens the core and tones up the full body. We know, it sounds like a character from Transformers, but Megaformer pilates is a super effective workout that celebrities swear by! In fact, it’s how Meghan Markle, Michelle Obama, Kim K and Jennifer Aniston stay fit. So if you’re looking for a great workout that combines cardio, balance, strength and flexibility, try this out. Back to basics, Mat Pilates is equally as good of a workout as the rest! It may look pretty simple, but even the smallest movements can make your muscles burn. Using the pilates ball, hand weights and resistance bands, this class works on improving your posture, core, alignment and flexibility. Try out the early morning mat classes with Joanna. As much as we wish this workout solely involved sitting down on a chair, this workout is the complete opposite! 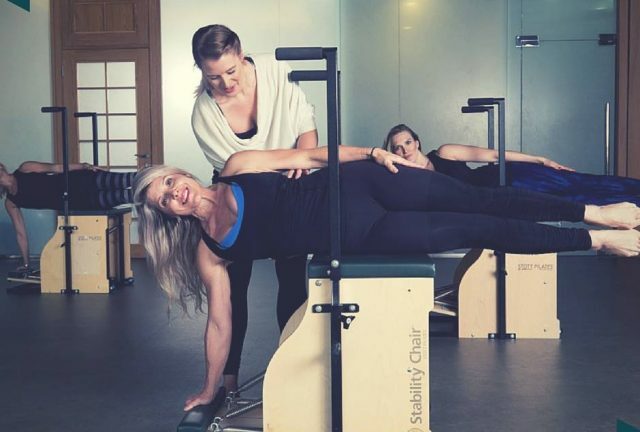 Using a wooden box equipped with pedals and handles, Chair Pilates is a combination of challenging exercises that are designed to work every muscle group in your body. Fancy trying out a funky yoga class instead? Here are the top 5 yoga studios in Dubai for Swing Yoga, or check out these gyms in Dubai with fun group fitness classes!